This trailer is based on the oldest, lightest, most unique boat trailer/dolly in our extensive line. Its unique light spring suspension, eliminates road bumps and shock to your small boat, canoe or kayak. Comes with 12" wheels and tires standard. 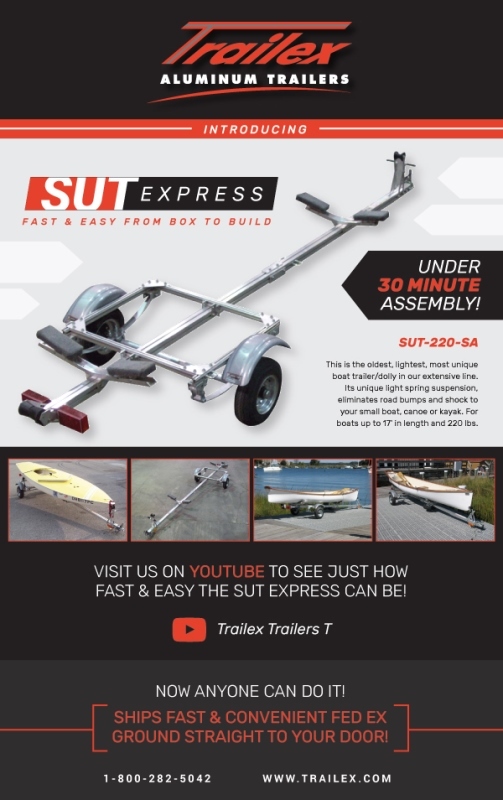 For boats up to 17' in length and 220 lbs. maximum weight. 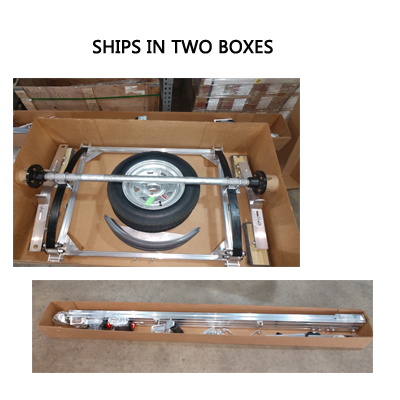 Shipping weight 175 pounds (ships oversized ground in 2 boxes). Assembled length 15' 2" width 53"